We utilise quality control programs to ensure the highest standard is maintained throughout our work. These include onsite inspections and customer surveys. If you’re not satisfied with our window cleaning service – for any reason whatsoever – contact us and we’ll address the matter. If any area of our work, from window cleaning to customer service, should fail to meet our high standards, it will be remedied as soon as the matter is brought to our attention. We value customer feedback to help us improve our service and maintain exceptional window cleaning standards in every job we do. 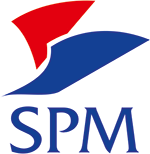 SPM is committed to exceeding our clients’ expectations. We are fully insured and pride ourselves in being ‘SAFE contractor’ and ‘IPAF’-approved, as well as being members of the British Window Cleaning Academy and the Federation of Window Cleaners.